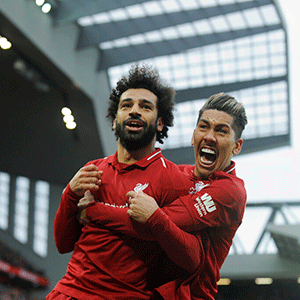 Liverpool - Jurgen Klopp hailed "fantastic" Mohamed Salah as the key to Liverpool's title dreams as they powered back to the top of the Premier League thanks to the Egypt star's stunning strike in a 2-0 win over Chelsea on Sunday. "The first question in the meeting today was 'what is the City score?'. You cannot avoid knowing about it," Klopp said of a gripping title battle. "We have closed the book on that now, Klopp said about Liverpool's Chelsea demons.